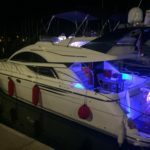 A stunning Fairline Phantom 50 flybridge motor yacht, measures over 15 m in lenght and has a wide beam creating a feeling of space normally experieced on much larger boats. 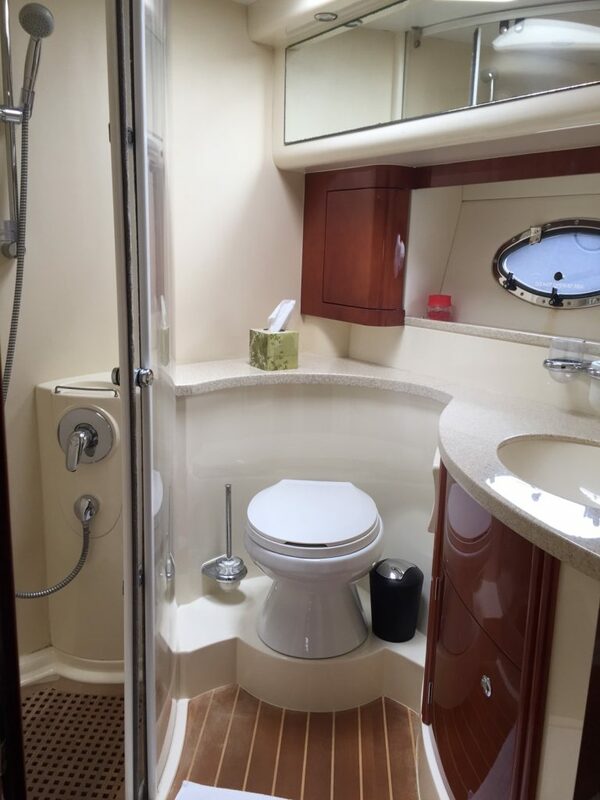 She has three large cabins including master with en-suite and two full sized double/twin cabins that share a further bathroom. 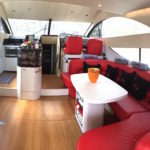 There is separate crew cabin aft for your Captain. 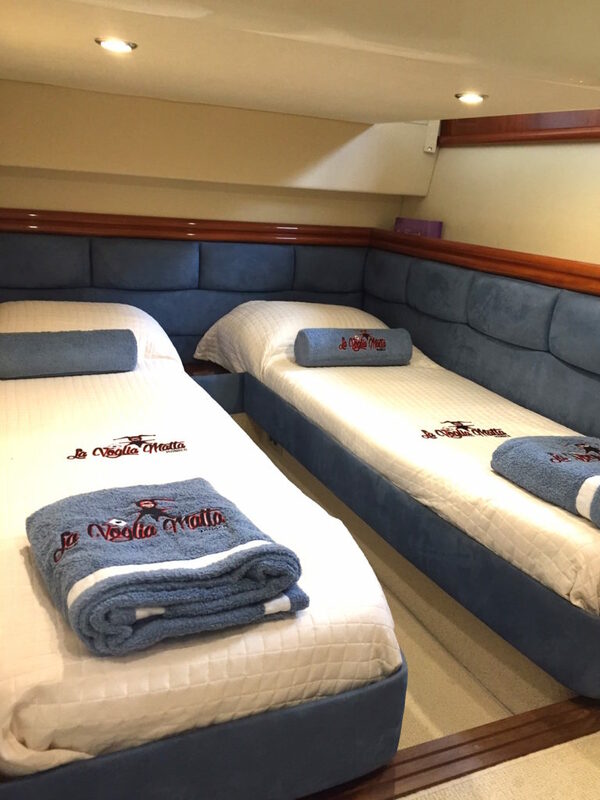 The large master stateroom with private bathroom and two further double cabins for family and friends create a relaxing and luxurious sleeping arrangement. 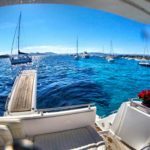 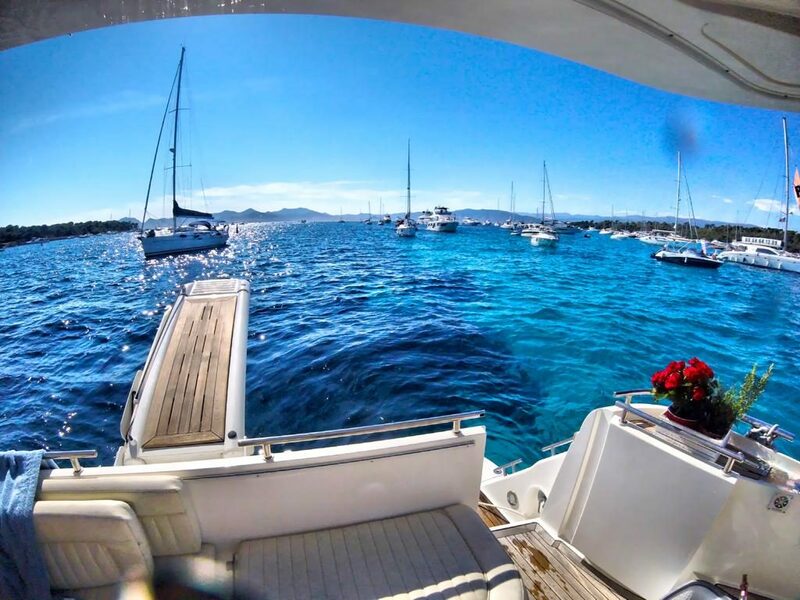 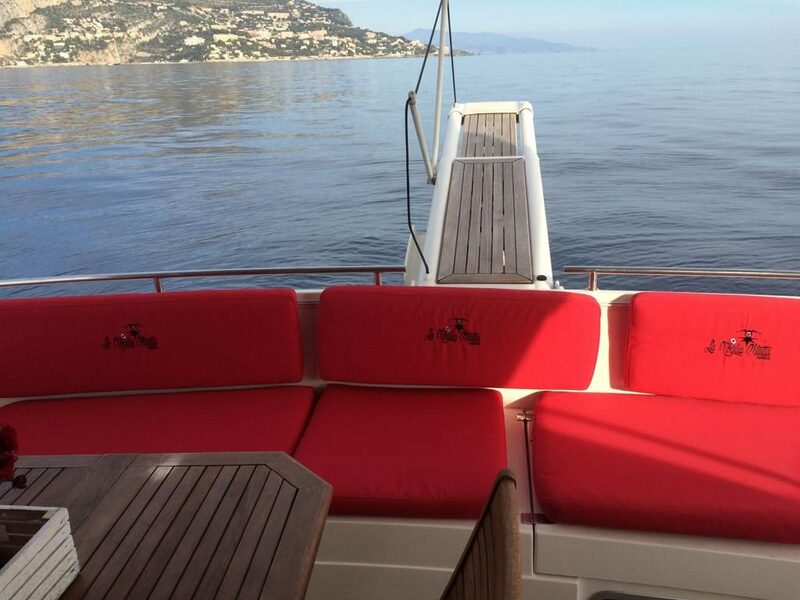 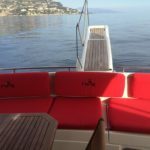 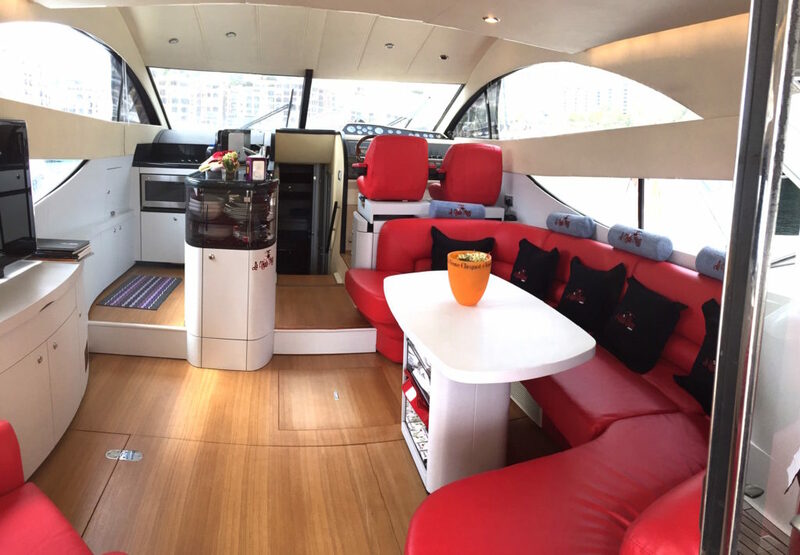 There are large social spaces in the saloon with open plan galley and up on the flybridge or out on the aft deck, with a wet bar and BBQ. 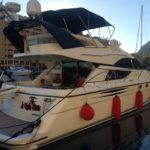 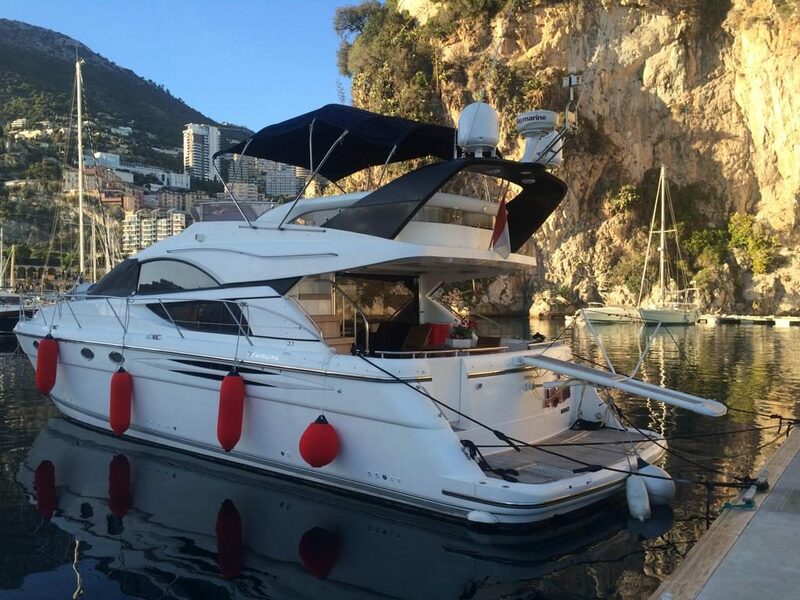 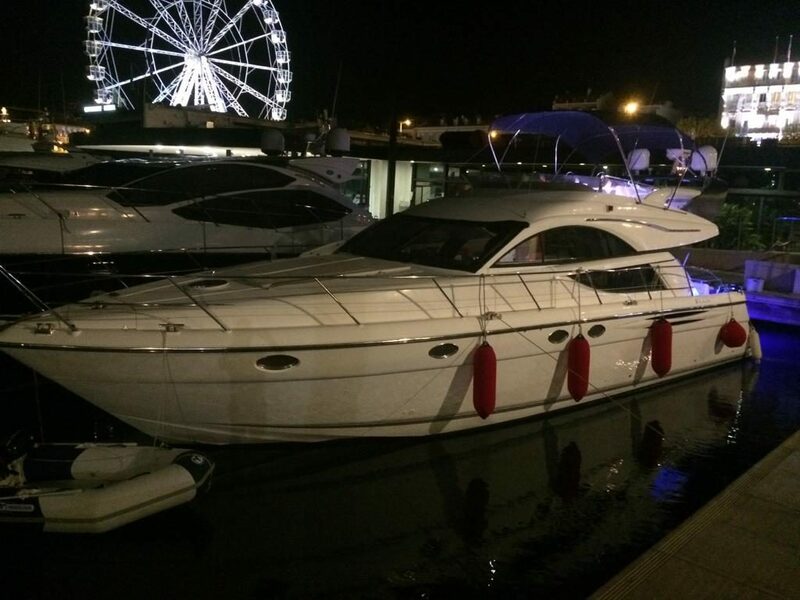 This is the perfect family boat to enjoy and relax. 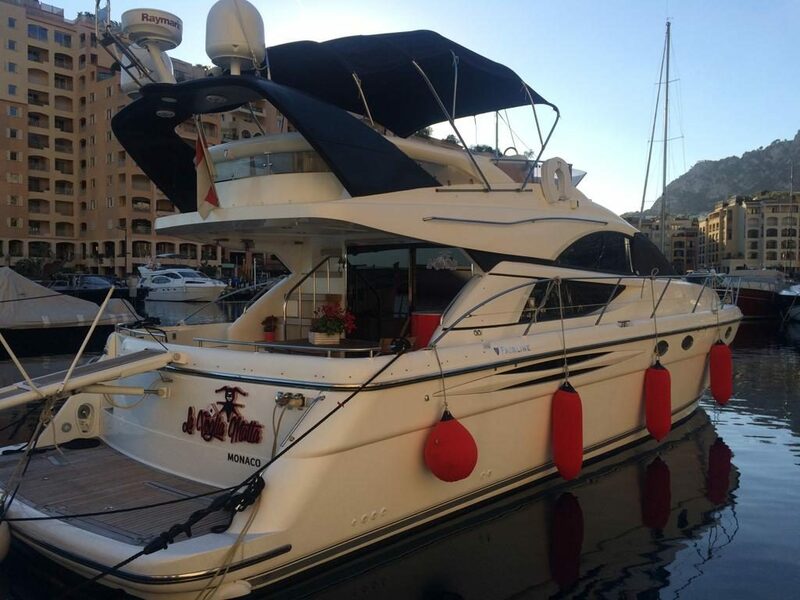 Fairline Phantom 50 contains all the creature comforts to make your cruising both exciting and memorable. 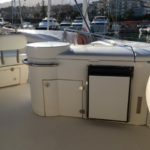 She offer all new entairnement system, TV & SKY decoder ( over 200 channels) WI-FI have been fifted to ensure all the luxury and confort. 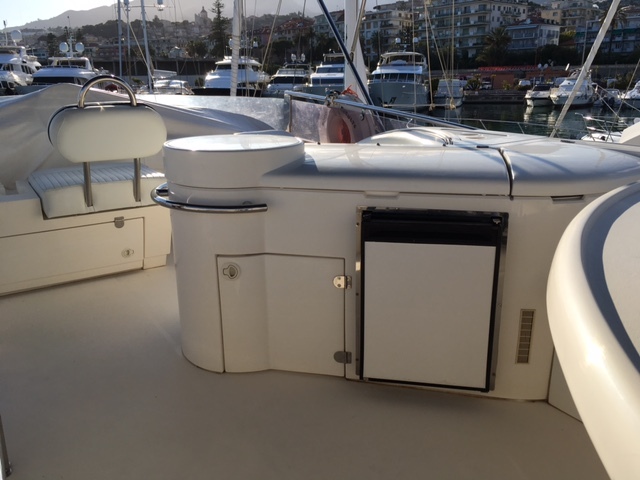 She is of course fully air conditioned as you would expect. 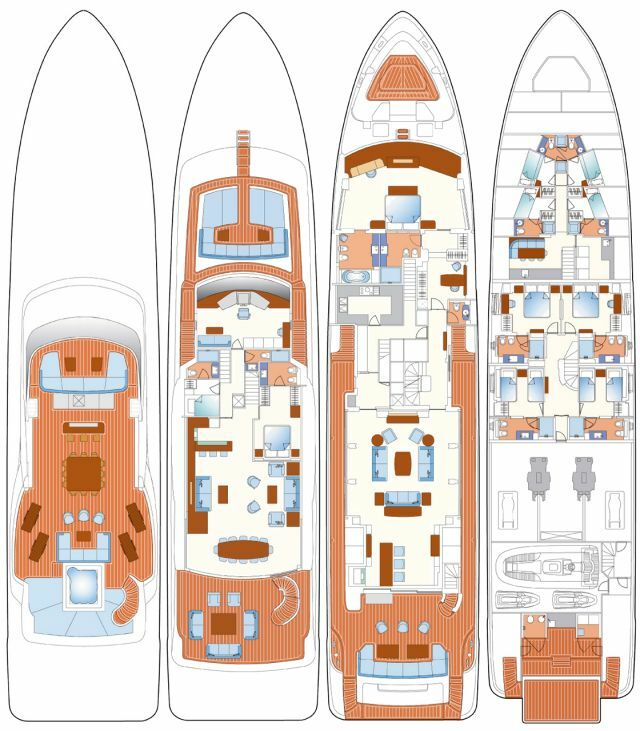 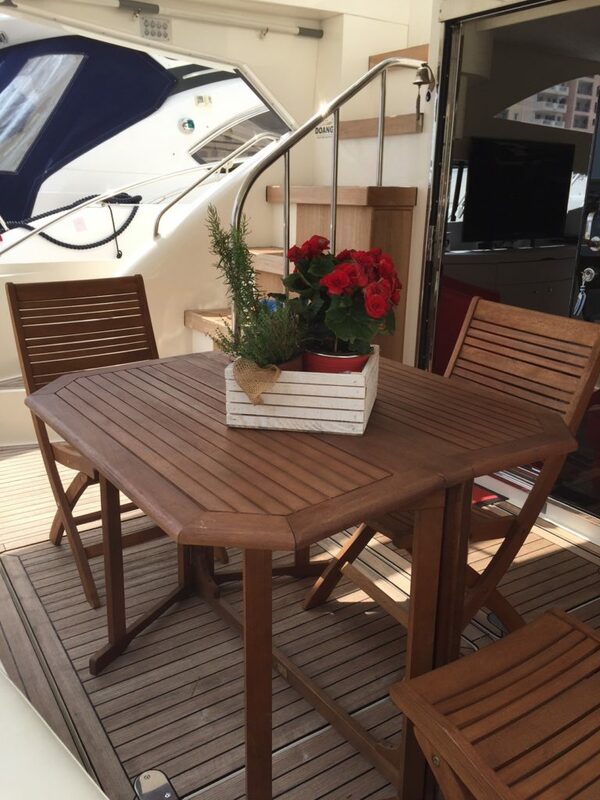 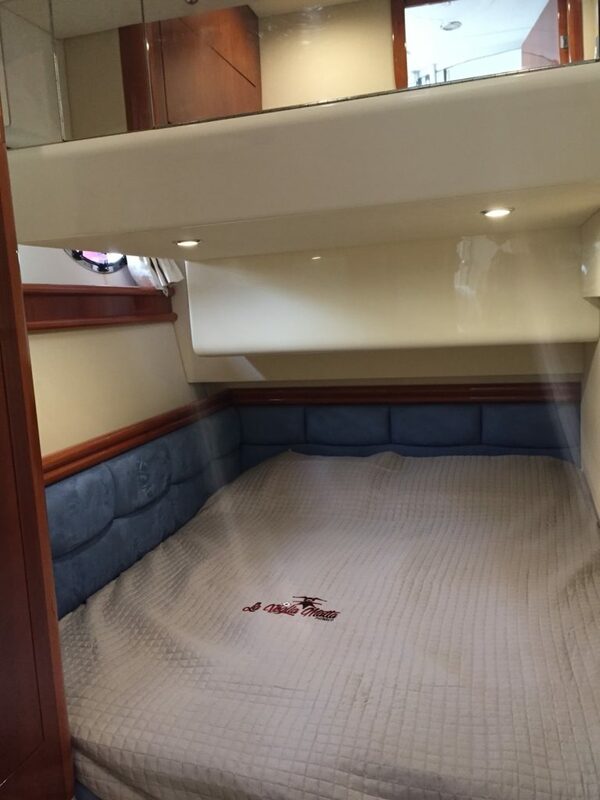 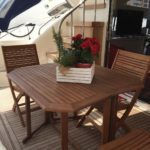 Complete refitting in 2016 - has a wide beam creating a feeling of space normally experienced on much larger boats. 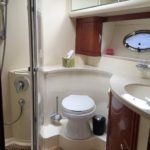 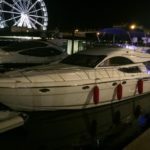 She has 3 large cabins including master with en-suite and two full sized double/twin cabins that share a further bathroom. 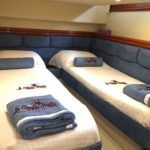 There is a separate crew cabin aft for your Captain. 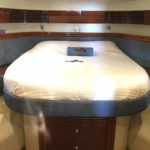 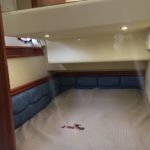 The large master stateroom with private bathroom and two further double cabins for family and friends create a relaxing and luxurious sleeping arrangement.There are large social spaces in the saloon with open plan galley and up on the flybridge or out the aft deck, with a wet bar and BBQ. 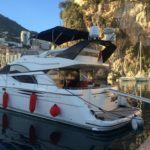 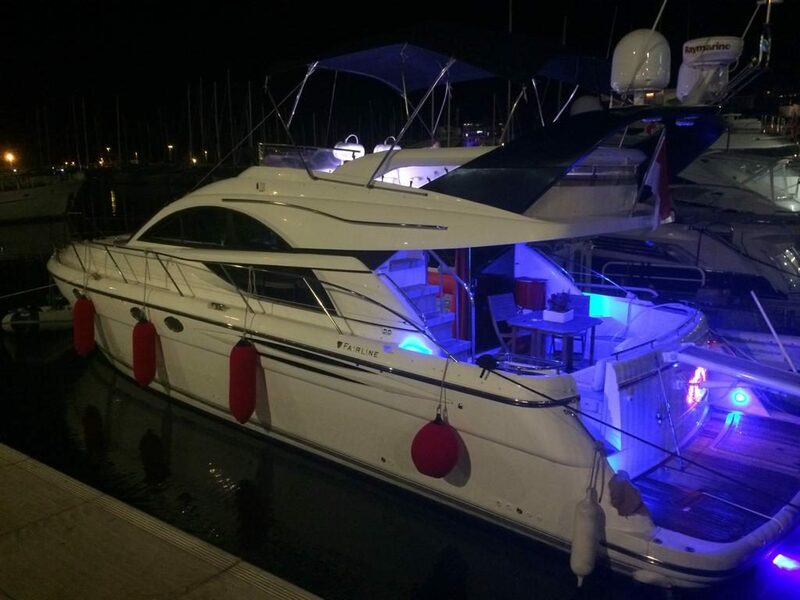 this is the perfect family boat to enjoy and relax.